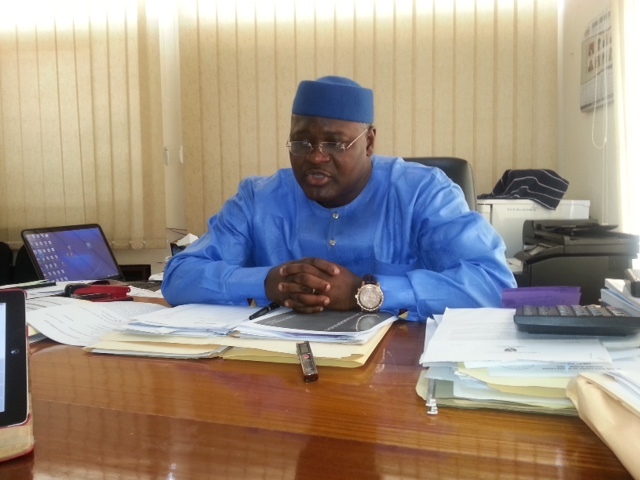 Sierra Leone’s Anti-Corruption Chief – Joseph Kamara (Photo) has faced fierce criticisms recently, after several botched corruption investigations, and failure to consistently win court cases involving top officials in the Koroma government. Critics say that he is impotent to act strongly and decisively in successfully bringing senior party and government ministers to justice, because of his family ties with the president. In particular, in one of the country’s most high profiled corruption cases, the Commission failed to secure the guilty verdict through the courts, with regard to former Director of the national social security trust fund – Edmund Koroma, accused of misappropriating millions of dollars. 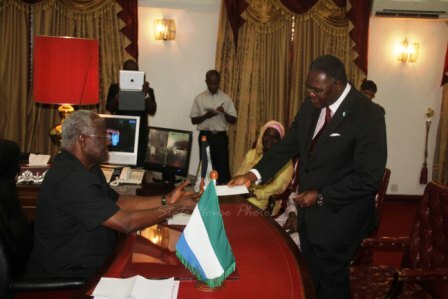 The ACC’s decision to settle the matter out of court and ordering Edmund Koroma to pay a relatively small fine, was regarded by many in Sierra Leone as a serious miscarriage of justice. 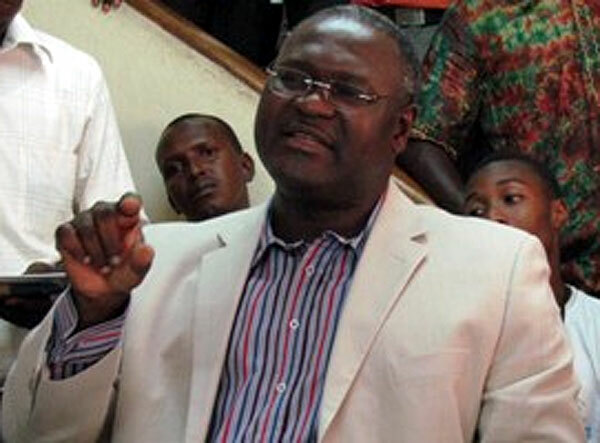 Edmund Koroma was subsequently promoted to the country’s Treasury department as chief financial secretary, a presidential decision critics describe as ‘putting a rat in charge of guarding the cheese’. But last week’s verdict by the Appeal Court may well put springs in the Anti-Corruption Commissioner’s steps, in the long drawn corruption trial involving the former fisheries minister – Haja Afsatu Kabba – a ‘one time’ close ally and work colleague of the president. 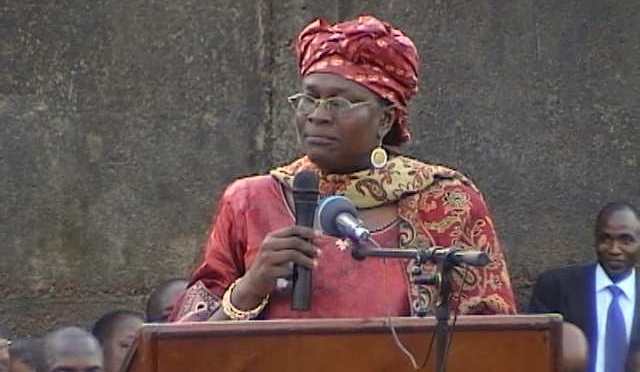 Haja Afsatu Kabba was convicted of corruption by the High Court in 2010,and was ordered to repay the sum of three hundred million Leones embezzled from the state. “The Court of Appeal has ruled that the Anti-Corruption Commission (ACC) should not refund the sum of Three Hundred Million Leones (Le300, 000,000) to the former Minister of Fisheries and Marine Resources, Haja Afsatu Kabba (Photo) as restitution. The Appellate Court on Wednesday 30th April 2014 made this ruling when Mrs. Kabba sought an order directing the ACC to refund the said amount of money. “Delivering the ruling, Justice E. E. Roberts said the Court has to be ‘careful not to order a refund to the appellant, Mrs. Kabba, unless it is certain that there was no dispute as to the ownership of the said sum and that indeed it was not public funds…’. “According to Justice Roberts the court did not resolve whether the Le 300,000,000 was or was not public funds or whether it belonged to the appellant. He noted that as the matter is now at the Supreme Court on appeal, the court will have to decide whether the money should be refunded to her. “It can be recalled that the seeming disputed Three Hundred Million Leones in question is an amount the High Court had ordered Afsatu Kabba to refund to the consolidated fund when she was convicted by that court on charges of misappropriation in October 2010. “When her appeal against the conviction was upheld on technicality in November 2013 and the conviction overturned, the Court ordered that the fines imposed and paid be refunded. “However, no order had been made in respect to the money which was alleged to have been misappropriated and which had been repaid to the consolidated fund by Mrs. Kabba. “On 3rd December 2013, her solicitor, JB Jenkins Johnston, wrote to the ACC demanding a refund of the said 300 million Leones. The Commission replied that the order for refund related only to fines, and did not cover restitution. “The Commission opposed this application submitting that the Court of Appeal had completed the matter and could re-open it whilst an appeal is in the Supreme Court. “Again the court had not found that the facts of the alleged misappropriation were untrue. But whilst the Afsatu Kabba case still hangs on the balance, critics of the Anti-Corruption say that it would be wise for the ACC Chief not to uncork the champagne just yet. Following the recent sacking of three senior directors and patrons of the ruling APC party – including Sam Bangura – responsible for managing the country’s pension funds, accused of stealing millions of dollars from poor pensioners, no decision has been taken to bring them to justice. 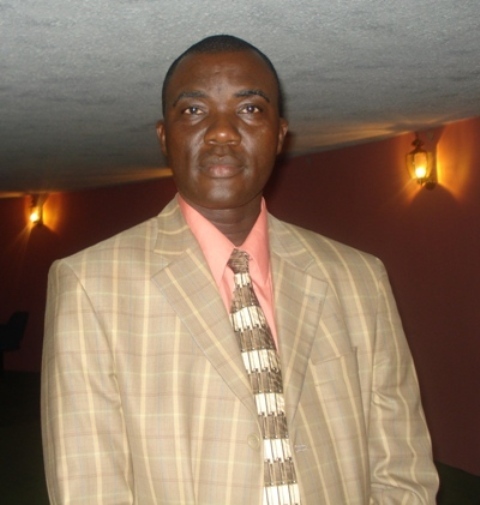 The corruption trial involving William Konteh (and others), who is also the brother of State House Chief of Staff – Richard Konteh (Photo), has mysteriously vanished from the High Court without verdict. 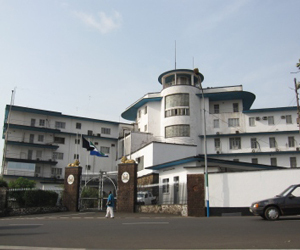 What is unclear is the level of political interference from State House, with regard to the ACC’s commitment to fighting corruption in Sierra Leone, and in bringing senior government officials to justice. Speaking to John Baimba Sesay in an interview last week, the ACC Czar was confident about the task ahead, if not reassuring of consistent success in conducting his investigations and prosecuting ministers and presidential political allies. Joseph Kamara (Photo) was first asked about his role as Commissioner of the ACC, since taking office three years ago. JFK: It has been an interesting and challenging experience. Of course there are always challenges by virtue of the nature of this job. But most certainly I’ve enjoyed it amidst the challenges but at this point, we are poised to meet those challenges and ready to move on. JBS: Let us look at the recent NRA/EcoBank landmark verdict that saw the jailing of convicts. You appear as a Commission to have received trillions of commendation from the general public. But how did that happen in terms of your institution being able to secure conviction? JFK: Indeed, it is a landmark case and the judgment has a very symbolic effect for the jurisprudence of the country and the sub region. Clearly, that case is pronounced in the sense that for the first time we have conviction for unexplained wealth; and also for the first time we have conviction for public servants failing to disclose to the Commission their assets. And going beyond that, it is part of a recovery process wherein, we are targeting income generating areas for the government and to ensure that the resources of government are protected and safeguarded by the Commission. It was a big and complex case with consequences both for the State and the Commission. JBS: The aspect of unexplained wealth. This is the first time you are chasing such cases. Do you intend continuing with that? JFK: Yes, this is the very first time and it has emboldened our spirit. It was a bold move to have taken in terms of prosecutorial discretion. But being a Prosecutor myself for the past twenty-four years, I was prepared to take that bold initiative. We are excited that we developed the element, and we were able to prove beyond all reasonable doubt that these are charges that can be sustained in court. Moving forward, we have now cast our net wider to ensure that Government resources are protected and that there are consequences for taking charge of Government resources and personalizing them. JBS: Let us look at the approaches you have been using in fighting corruption, more so from the framework of the most successful. JFK: We can say that prevention has been very effective. We do a lot of public education work. We engage radio stations. We are in the media, print electronic firstly for people to understand what is corruption, and most importantly how does it impact their lives. That is what we are bringing in, and now we have seen there is a lot of consciousness. The level of awareness amongst the public about what is corrupt has reached a high crescendo. But definitely we cannot underrate the prosecutorial aspect, because we have to investigate and people want to see that there is an effect and there is a punishment for being corrupt. So managing that is a challenge but definitely there has been that two-pronged approach. We go with public education, systems prevention and prosecution to ensure there is sanction and punishment. JBS: On prosecution, there must be some kind of institutional collaboration between your institution (ACC) and the judicial arm of Government. Has that relationship been smooth and strong? JFK: It has been a relationship of a mixed bag, because there are times we believe we have got good support and good judgment. Our cases move on very fast than many other cases. The level of jurisprudence now in terms of corruption cases has heightened within the country. But we also have difficult moments when we have cases that we believe strongly in the quality of evidence that we presented and the court could not accept that. But of course again, we always respect the integrity of the process. Sometimes we take it well, some other times, we feel very disappointed. JBS: Are you suggesting each and every case by your Commission should be won in court? JFK: Well, in law, we always say a Lawyer is as good as his case. When we are not sure about cases, we don’t take them to court. The cases we take to court are those cases where we are 99% sure of success. So when we go to court with all the evidence that we put before the court and it turns out we do not secure conviction, we take it with difficulty, because we know the quality of evidence that we presented. But of course, we don’t win all the time. Sometimes we accept where things may have gone wrong, and we come back to the drawing table and find out where we missed out. Is it on the quality of the indictment or evidence presentation? We do accept when we know there are challenges in some of the cases. We do not appeal when we lose, but there are those cases where we think of the law. Even to preserve the state of the law, we should appeal. But I think on a whole, we have a relationship that you may not describe as perfect, but one of mutual respect because both institutions are independent and we try to keep that position. JBS: That said about the judiciary, what can you say about the political support from the Executive arm of Government, specifically from the Presidency? (Photo: President receiving fines collected by ACC). JFK: Most certainly, the President has given us the political will. In the entire African landscape, it is only in Sierra Leone where you have a sitting Government Minister charged and convicted in court. And it is only in Sierra Leone that you see the kind of laws to fight corruption having been so strengthened to the extent that it makes the Government vulnerable. And we are excited as a Commission and in admiration of the will of the President for us to have the kind of powers that we have. I have never been in a position where I have been subjected to any form of compromise, neither have I been summoned or queried for any decision that I have taken. So I have enjoyed that opportunity to be independent in my work. I have never been in a position where I have regretted decisions that I have taken. JBS: Again, back to the approaches in fighting corruption in relation to your workforce. You win a case based on a strong investigating and prosecuting team and a committed workforce. What can you say about the commission’s workforce? JFK: When I came to the Commission, I met a couple of structural challenges in terms of capacity as well. But I can clearly say that I have a very strong management team. You must have noted that it has pleased His Excellency the President, Dr Ernest Bai Koroma, to appoint Sholley Davies – a former Director as Deputy Commissioner, showing credence to the fact that there is strength within. In each of the Directorates, we have capable members that have given support to the management that has contributed to the success that we are seeing today in terms of the fight against corruption. And in other aspects of management, I have been able to increase the strength of staff from about 121 when I came to 200. We have strengthened our regional representation; we now have effective regional offices all over the country. We have a Regional Headquarter in Makeni, we have a Regional Headquarter in Bo and in Kenema and we have also appointed District Coordinators. So we have taken the fight to the district level. There are District Coordinators now that are representing the ACC as Focal Points. They participate in NGO issues, they monitor Government Contracts, they monitor Surface Rent issues and then give feedback to the Regional Offices and then down to Freetown. We have also been able to start initiating prosecutions at the regional levels. We have cases ongoing in Bo, Kenema and Makeni so that we take justice to the doorsteps of the people. Even in terms of Public Education, we have done extremely well despite the sometimes adverse reportage on the fight against corruption. The report on public sensitization has always been positive. But that has not come out in the reports. Ninety-nine percent of respondents surveyed even in the Global Barometer report, said they now know where to report corruption and they are willing to give support to the fight against corruption. In terms of Systems Review, we also have that aspect of our work; it is not just a representative of what I would refer to as Prosecutorial Gladiators. No! We go there and look at the systems, we look at what they are doing and how efficient and effective are they. We benchmark them from an Anti Corruption initiative and at the end of the day we have the civil society that gives support and do monitoring, and then we prepare reports on what our findings are. Most of these reports have been qualitative and supportive to the work of ministries. JBS: Sierra Leoneans are in appreciation of the ACC’s work, but some are worried. The Act makes provision for lesser fines when people are convicted, thus thinking there is need for review. JFK: The Act is one of the strongest. As a Lawyer, I accept it as it is. It is not perfect but a strong one in any legislation in the fight against corruption. What happens in sentencing is that in the outcome, judges use the most minimal punishment. There is always an opportunity to push for more and it is satisfactory in that light. But we have been disappointed that when we take cases to court and we secure conviction we get minimal punishment. The problem there is not the Act; it is how it is interpreted by the court. There are other aspects of the Act which we wish to see some amendment, but I am not in a rush for that. There are lots of things we have not finished yet under the mandate of the Act. More particularly, we are interested in trying to enhance and strengthen our work in the Private Sector. Corruption in the Private Sector which has not been so much covered in the Act. We are moving towards that, we are taking it at a stage now wherein we are creating awareness of corruption in the Private Sector. JBS: Are there pending indictments, say in the coming days, months or weeks? JFK: We do have cases in the court, right onto the Supreme Court. For us at the Commission, each case is big but there is always a heightened public interest in political profile cases. But there is no high political profile case, currently. But definitely people tend to misunderstand that a high profile political case is when a Minister is involved. There are times when it is not a Minister but someone with high political connection. In terms of investigation and indictments, yes, we have very big cases that are currently under investigation and with high profile individuals. JFK: I would not disclose names at the moment .Yesterday – 1st May 2014, we were here till 11 pm reviewing indictments, and I am sure within the coming weeks we will release a few more indictments. Yes, we are progressing with work with a lot of investigations going on, but it is not every investigation you link to a high profile case. There is a general belief that it is the politicians that are corrupt. But the experience that I have come to have is that corrupt is not limited to politicians. In fact, it is established within the Public Sector, and that is my major challenge. That is why we are developing a new strategy that will go into the Public Sector proper and see how we can mainstream anti corruption initiative into the workforce. JBS: Has this job given you more friends, or you today find yourself in an isolated job? JFK: This job like many others, the top is always lonely. It is lonelier in this particularly job, because you have got to investigate friends and Sierra Leone being a small country, you create enemies in the process – especially if you are a bold Commissioner that takes bold decisions. You step on people’s toes. But it is not something I regret because my commitment to the country comes first. Whose bidding is the ACC doing? They are a reaction force, aroused when prompted to do so. Who is their master – their sponsor, their hero? ACC – nar way you take dry yei cobar shame. ACC is big on little people, but soft and temperate – even tolerant, of the big fish. There will come a time when the ACC itself will become the subject of corruption investigation. It is part of the big lie and joke.